Over the past year some new research has been carried out on one area of RAMM’s ceramic collection: the pottery made in local Devon workshops in the 19th and early 20th Centuries. 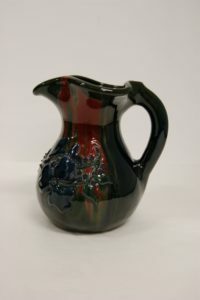 This popular ‘Art Pottery’ was produced in Torbay, Newton Abbot, Bovey Tracey and Exeter, and RAMM has a great range of pots, tableware and vases which were made for the Victorian and Edwardian market. In particular we have a large collection which was donated in the 1970’s by an enthusiastic Exeter collector, Mr. Ernest Milverton. ‘Ernie’ began collecting in the 1960’s. 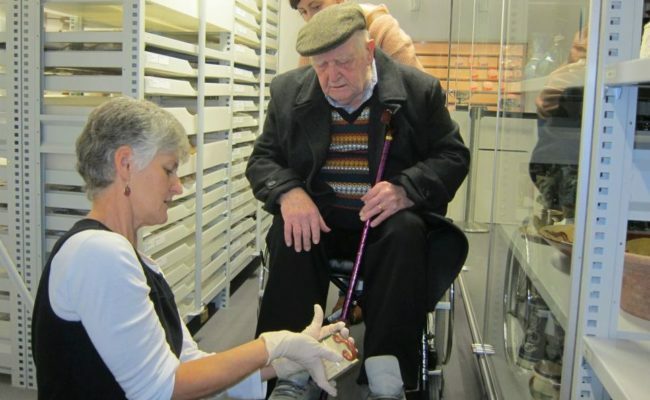 He came into RAMM to tell us the stories behind his collection of pottery. 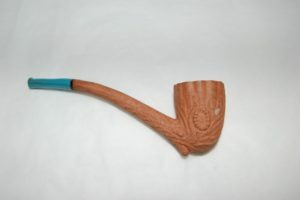 He had spent years carefully choosing examples of ware from the Watcome, Longpark and Lemon and Crute potteries in Torbay; the Aller Vale Pottery near Newton Abbot and from Hart and Moist, the lesser known Exeter Art Pottery in Exeter. Some key pieces from these workshops were shown in the ‘Visitor’s Choice’ display windows at RAMM early in 2017. Other pieces from Milverton’s collection can be seen in the permanent display cases but as the collection runs to 280 items most of these are in the Collection Study Centre. We can show you these by appointment. 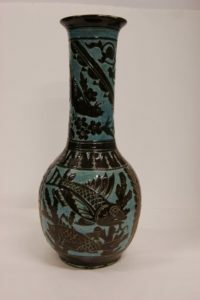 Other examples of RAMM’s Victorian Art Pottery are also on view at the National Trust’s Knightshayes Court, near Tiverton, in the drawing room and library. On their dressers and mantlepieces you can see vases made by the Brannam Pottery of North Devon; by Hart and Moist; Royal Doulton; Longpark Pottery; and ceramics from the Sunflower Pottery in Clevedon, Somerset, known as Eltonware. If anyone is interested in researching these collections further they would be most welcome. 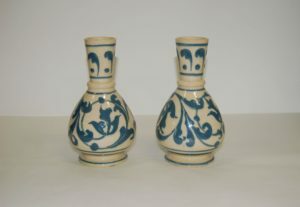 Please contact Sally Ayres, Assistant Curator for Decorative Arts at RAMM.